You can quickly save a picture or pdf of your email template in WordFly. 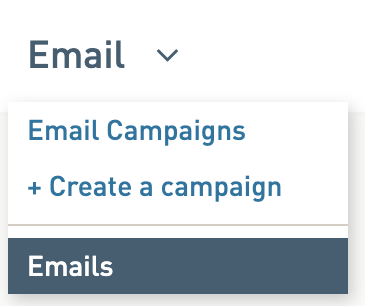 Use these options to archive an email design or to do a final review before deploying your email. You can quickly save a PNG of your email template in WordFly. 1. Go to Email > Email Templates. 2. Find the name of your email design. 3. Click on the magnifying glass under the HTML column (to the right of the email template name). This will load a preview of the email template. 4. Right-Click on the preview image. 6. Name your file and click Save. The email template image saves as a PNG file and can now be sent along for review or saved as a hard-copy to reference later on. You can quickly save a PDF of your email template in WordFly. 3. Click on the document icon under the PDF column (to the right of the email template name). 4. A window will pop up to ask you to Save. Click Save. The email template will download as a PDF file. You can retrieve the file from your downloads folder.